Today was Sydney’s 3rd birthday but it turned out to be a day of mixed emotions for me. I found out when I woke up that my Oma had passed away. My Oma took a bad fall about a month ago and just couldn’t recover. She was in palltative care for the past 9 days so even though I knew the end was near, it really didnt make the news any easier. While I was out and about with the kids today I thought alot about my Oma and all that she meant to me. Here are a few memories that stand out for me. ~ Walking through Leif Erickson park when I was about 4, she had THE LARGEST GRASSHOPPER on her pants. I freaked – she laughed! ~ She grew the most amazing garden at her house on Ave O in Saskatoon. It was HUGE and AWESOME! 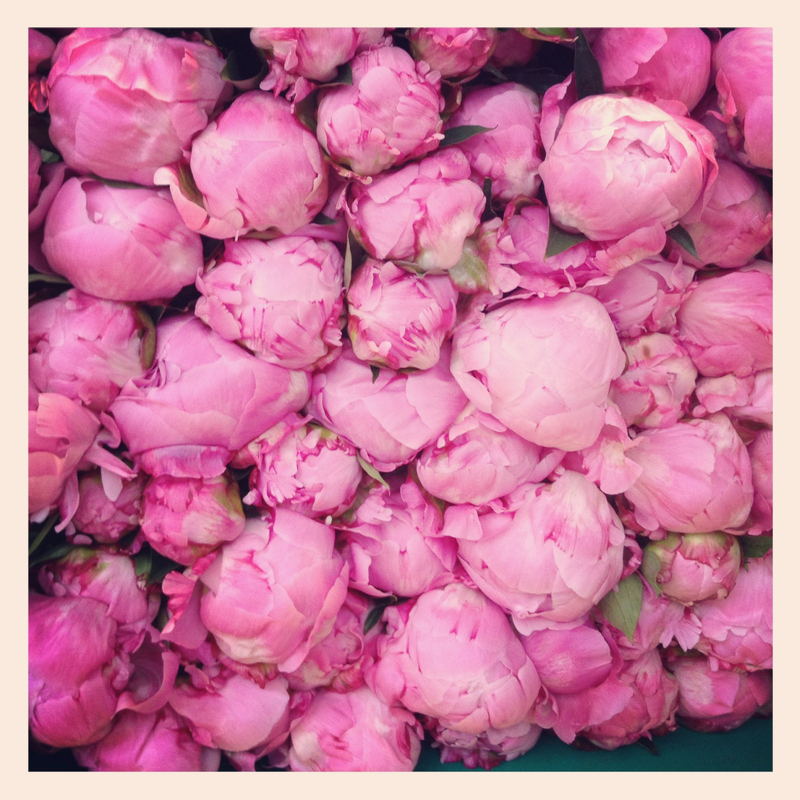 ~ She grew the most amazing Peonies all around her house. ~ She was the greatest baker. She had a sweet tooth. Her peanut butter cookies were THE BEST! ~ she loved to freak me out as a kid by wiggling her false teeth. ~ She was an amazing knitter, though it took me FOREVER to realize this. She was my inspiration to learn and she helped fix many of my mistakes. ~ She loved Hawaii….. everything about it! These are just a few quick memories of a woman that I loved very much. A strong woman that came to Canada as a war bride from Rotterdam, and made a life for her family in Canada. 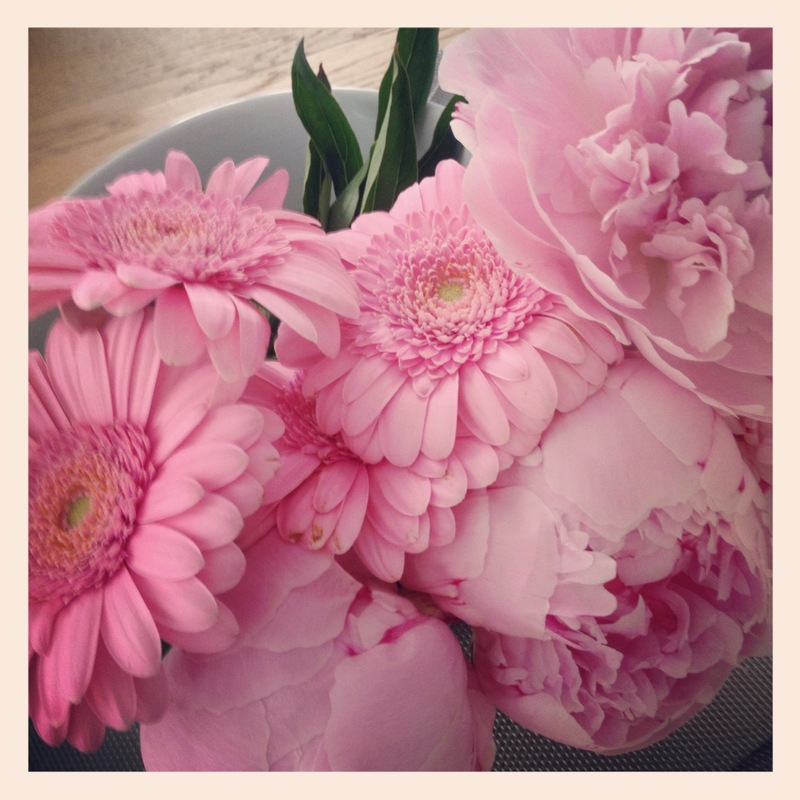 Today I bought a bunch of Pink Peonies….. they remind me of my Oma. In the store Sydney brought me a bunch of pink Gerber Daisies and said “for my Oma”. Looks like we have a new tradition of mixing pink peonies and pink gerber daisies together to celebrate, and remember two strong and independant women. Two women that I love so very much! Happy Birthday Sydney…. I will miss you Oma. This entry was posted in Trip Prep by dailydoseofeurope. Bookmark the permalink. Sorry to hear about your Oma. Lovely memories. How sad Barb, my thoughts are with you and your family…be well.